Shows — Miracle Mule - The Bay Area's Favorite Swampy Tonk Dance Band! Join Priest Ranch Winery in celebrating their spring releases. Members and VIP reception will begin at 5:30 with Winemaker Craig Becker exploring new releases and small bites to complement each one. Then at 6:30 it will be time to tie the bibs and prepare yourself for an overflowing table with fresh Maine lobsters, prawns, corn, garlic, artichokes, onions, red potatoes, fresh sourdough baguettes, and drawn butter. New releases will be served alongside dinner and into the evening with a live music performance by Miracle Mule following the meal. There is a $15 minimum per person during the show. See the Fenix website for reservations. We’re excited to be making our 3rd appearance at Novato Art & Wine. Hoping for a big turnout for this fun home-town festival. The Mules will be back at the Jacuzzi Family Winery for their 3rd consecutive Wine Country Carnival. Featuring games, silent auction, delicious food and, of course, great wine, the Carnival is a benefit for UCP of the North Bay. The event supports UCP recreational programs, which allow children and adults with disabilities to experience new opportunities, build self-esteem, and further their independence. The Mules are happy to be a part of this event again and to support this worthwhile cause. Tickets are available here. We have played at the Clif Family Winery's Harvest Festival for 7 consecutive years! That has always been one of our favorite events of the year -- a great bunch of people and, of course, great wines. This year they're starting a new tradition -- the first annual Harvest Moon Concert -- and we are very pleased to be a part of it. They're celebrating the release of their 2015 Howell Mountain Cabernet Sauvignon wines with a special menu from the Bruschetteria Food Truck, lots of tasty wines and of course plenty of great swampy tonk music from you-know-who. Get tickets today at ClifFamily.com. Fairfax is one of the best towns in Marin for live music. The Mules return to 19 Broadway on Sunday Aug 26 at 8:30 for a night of big fun. How about making a whole evening of it? 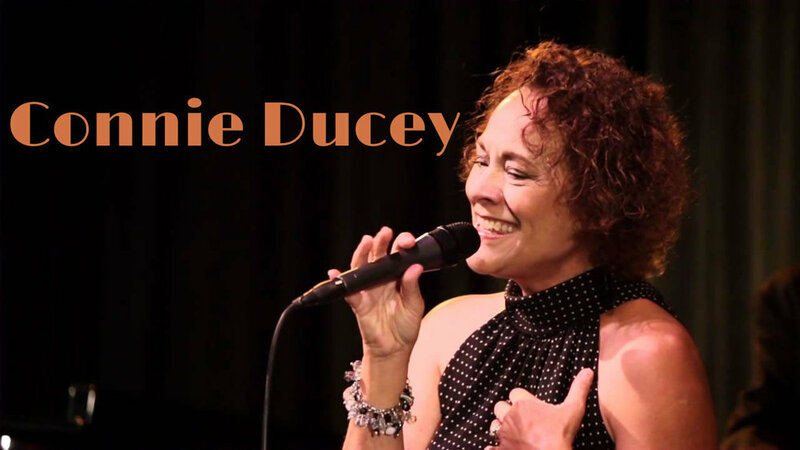 Our good friend Connie Ducey will be singing some classic jazz tunes from 5:30 to 8:00. It ain't swampy tonk, but it's still some mighty fine music. The Mules' debut at Jaxson, San Francisco's premier Country Western Bar. Based in the Marina District on Fillmore Street, they offer 6 nights of events, a full bar & dance floor. A rare double-header at the Fenix with Marin country legend Buck Nickels & Loose Change. Show starts at 6:30. Tickets are $12 in advance / $15 at the door. Click here for reservations. The Mules will be playing at the Union Street Fair's Country Western entertainment area at Union & Fillmore, the far western end of the fair, from noon to 1:30. The Mules will be back at the Jacuzzi Family Winery for their 2nd consecutive Wine Country Carnival. Featuring games, silent auction, delicious food and, of course, great wine, the Carnival is a benefit for UCP of the North Bay. The event supports UCP recreational programs, which allow children and adults with disabilities to experience new opportunities, build self-esteem, and further their independence. The Mules are happy to be a part of this event again and to support this worthwhile cause. Tickets are $250 and are available through http://ucpnb.org/events/wine-country-carnival/. We always have a great time at Lagunitas. There's always a great bunch of folks there and, of course, the beer is top-notch! Looks like it's turning into a regular thing for us -- this will be our 3rd there in 6 months. Hope you can join us. NOTE: this one starts earlier than usual (3:30). A big Mardi Gras Casino Night Fundraiser and Membership Drive for the Santa Rosa Moose Lodge. Members and non-members are welcome and are encouraged to dress up in costume with a Mardi Gras flare. Free hors d'oeuvres and desserts will be available all night for your snacking pleasure (yumm!). Play Blackjack and roulette to win fabulous prizes or enter a Poker Tournament ($50 entry fee; entry deadline Feb 20) to win a $250 gift card (must be present to win any prizes)! And of course, the Mules will be on hand serving up plenty of boot-scootin' swampy-tonkish sounds for your dancing and listening pleasure. Tickets are $35 (includes $10 worth of chips) and all for a great cause -- proceeds will go to the local Boys & Girls Club. For advance tickets call 707-546-0637 or email info@SantaRosaMoose.org. Allons danser! A big Mardi Gras Swampy Tonk celebration. Featuring hoof-stomping music by the Mules, plus Boubon street food: Jamabalya, gumbo, shrimp and pasta, red beans & rice with sausage, hamburgers and much more! It's gonna be a blast! Wear your craziest Mardi Gras costume attire & you just might win a prize! There'll also be raffle prizes and a silent dessert auction. Tickets are available for $20, but space is limited, so order yours today by calling Traci Oates at (707) 718-4602 . Proceeds benefit programs for children and the elderly, as well as the Vacaville Moose home, which was built in 1967 and is overdue for some repairs. See you at the Lodge for a big night of Mardi Gras fun! Laissez les bon temps roullez! Sure we know you’ll be plenty busy Christmas Eve –wrapping, baking, filling stockings and assembling bicycles. But the night before that? Heck, it’s too late for last-minute shopping and there’s nothing left to do that can’t be procrastinated for another day. So c’mon down to the HopMonk in Novato (224 Vintage Way in Vintage Oaks) and celebrate the season in style with the Mules’ last & biggest Swampy Tonk jamboree of the year. The Kickin’ Country Girls will be on hand to provide free line dance lessons, along with other special guests and surprises. And if holiday merriment seems just too self-indulgent for you, then do it for your fellow man – the band is donating all proceeds to the Redwood Credit Union’s North Bay Fire Relief Fund. All ages are welcome, so you don’t need a baby-sitter, and it’s an early start (7pm) so we won’t keep you up past your bedtime. Tickets ($10) are going fast, so order yours now at https://www.ticketfly.com/purchase/event/1594678. Circle the 23rd on your calendar -- in bright red! -- don your gay apparel and your dancing shoes and join us for a holly jolly night of fun, frolic and joyful noise. The night before the Yule. Not gators, nor crawdads nor Mules. They’re dancing the whole night away. It’s a Mule Log jubilee! And there’s no funner place to be. Pulls his pirogue clear outta sight. But I hear him drawl, “Merry Christmas, y’all.